It was your home, once. You built it up, and made a lot of friends there. Then you set off on another adventure; on a quest to become the very best, like no one ever was. You left one home for another. With Phoenix Wright and Zelda games on the horizon, it seems a lot of Animal Crossing towns are going to continue go unattended for a good long while. 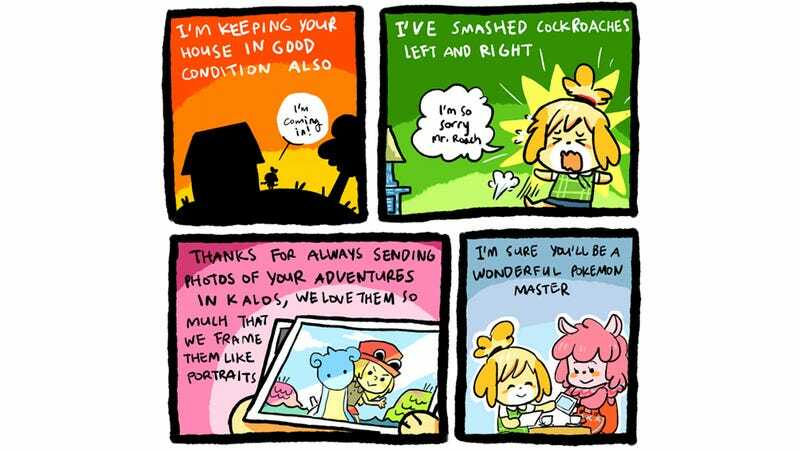 Aw, Isabelle. We'll always have the bug-off.